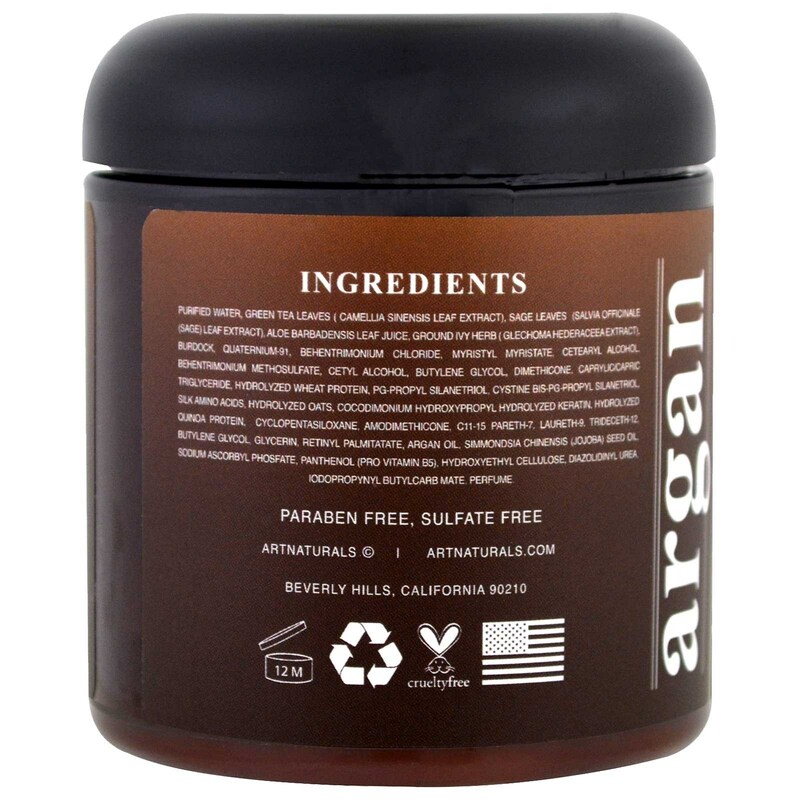 Made with Argan Oil, Jojoba Oil & Aloe Vera for deep conditioning and healthier, softer looking hair. Infused with keratin protein. Professional grade treatment that transforms the texture of your hair, leaving it soft, silky and luxurious. 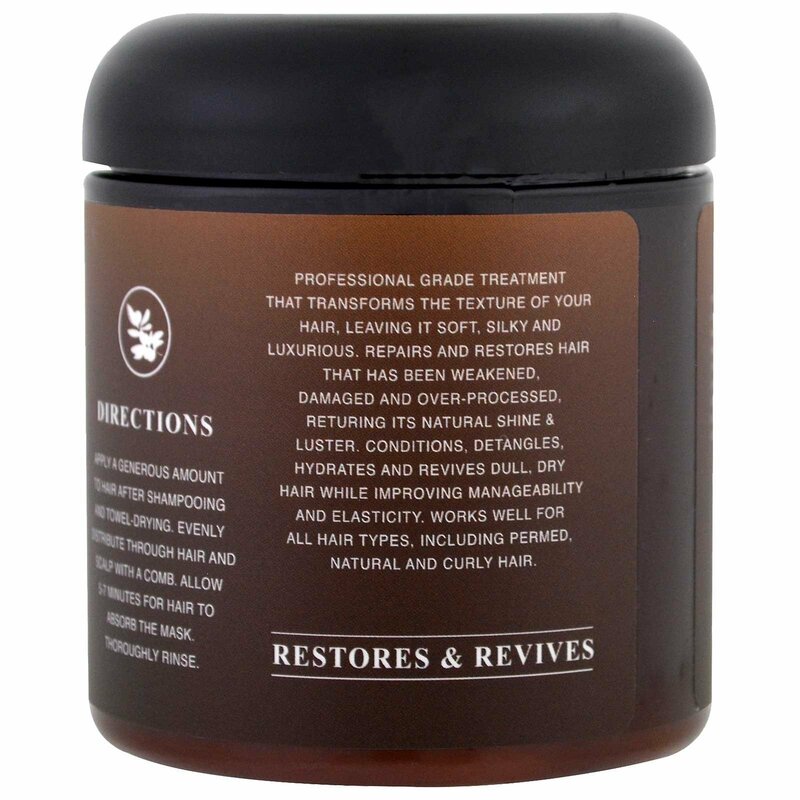 Repairs and restores hair that has been weakened, damaged and over-processed, returning its natural shine & luster. 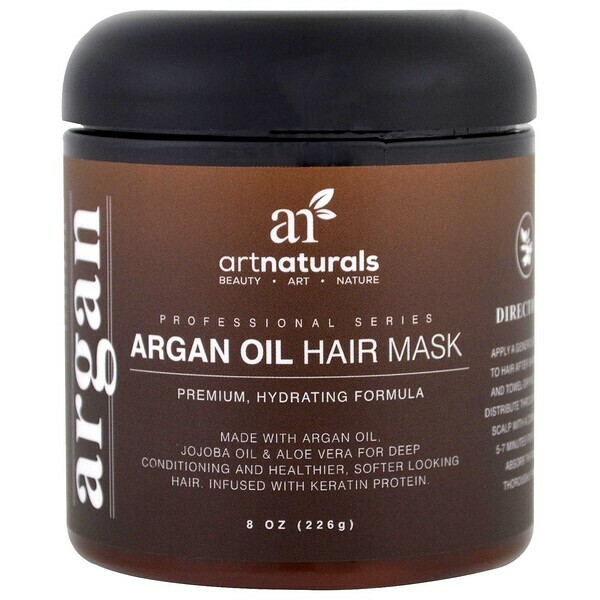 Conditions, detangles, hydrates and revives dull, dry hair while improving manageability and elasticity, works well for all hair styles, including permed, natural and curly hair. Apply a generous amount to hair after shampooing and towel-drying. Evenly distribute through hair and scalp with a comb. Allow 5-7 minutes for hair to absorb the mask. Thoroughly rinse. Purified water, green tea leaves (camellia sinensis leaf extract), sage leaves (salvia officinale (sage) leaf extract), aloe barbadensis leaf juice, ground ivy herb (glechoma hederaceea extract), burdock, quaternium-91, behentrimonium chloride, myristyl myristate, cetearyl alcohol, behentrimonium methosulfate, cetyl alcohol, butylene glycol, dimethicone, caprylic/capric triglyceride, hydrolyzed wheat protein, pg-propyl silanetriol, cystine bis-pg-propyl silanetriol, silk amino acids, hydrolyzed oats, cocodimonium hydroxypropyl hydrolyzed keratin, hydrolyzed quinoa protein, cyclopentasiloxane, amodimethicone, C11-15 pareth-7, laureth-9, trideceth-12, butylene glycol, glycerin, retinyl palmitate, argan oil, simmondsia chinensis (jojoba) seed oil, sodium ascorbyl phosfate, panthenol (pro vitamin B5), hydroxyethyl cellulose, diazolidinyl urea, iodopropynyl butylcarb mate, perfume.